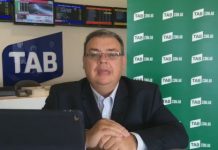 Ubet's Gerard Daffy takes a look at all things betting in the world of racing and sports. After a tight first half which saw Australia go in at the major break 2 points ahead of New Zealand in their test in Perth, the floodgates opened in the second half which saw the Aussies race away to a 20 point win. 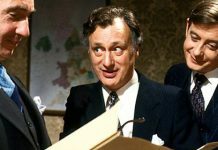 So now it is on to the Four Nations, and the market is open to win that final. The Kangaroos are $1.60 and there has been solid support for them at that quote, but there has also been money for New Zealand at $3.50, many thinking they can improve on what we saw in Perth. England are $5.50, and Scotland round it out as the $151 bolters of the field. Australia take on Scotland in the first game the weekend after this, and the line on that one is like to be around the 50 mark, while England will take on New Zealand with the Kiwi’s likely to be slight favourites. New Zealand have retained the Bledisloe Cup again after beating Australia twice in the Rugby Championships recently, but they will still meet again in Auckland on Saturday for game 3 of that series. The Wallabies have not beaten the All Blacks at Eden Park for 30 years, and on current form that record is unlikely to be broken any time soon. The All Blacks are going for a record 18th straight test win, so they will have plenty of incentive to chalk up another win even though they have the Bledisloe safely in their keeping. Betting suggests that will eventuate as NZ are $1.07 with Australia at $8.50, and the line of -21.5 has already seen some money come for the All Blacks. Brisbane have a great chance to open their A-League account this weekend when they hit the road against to take on the Central Coast Mariners, who are also winless this season. Football punters are keeping their powder dry on the contest at this stage, but what money we have seen has been for the Roar at $1.72. A stalemate is also attracting some attention at $4.00, while the Mariners are friendless at $4.35. Like the Roar and Mariners, defending champions Adelaide have also made a slow start to the season with a draw and a loss after the opening two weeks of competition. Unlike the aforementioned teams though, the Reds have been backed like good things at $2.50 to chalk up a win in Week 3. Melbourne Victory – priced at $2.85, but likely to ease – stand in their way, but Berisha, Rojas and Co. are proving a hard sell, luring less than 10 per cent of the early business. Sitting pretty atop the table, Sydney FC are once again proving popular through multis, with the Sky Blues installed at $1.91 to cross the ditch and wipe Wellington who are at $3.70. From a title betting perspective, $4.00 favourites Melbourne City are the only side in serious commission at the moment, thanks in no small part to all the press around Tim Cahill and his 35-metre wonder strike in Week 2. City have been our worst result from the outset and with money man Cahill finding his feet, we doubt that will change. Adam Scott missed the cut in the Japanese Open last week, but is one of the top picks to win the CIMB Classic in Kuala Lumpur this week, a co-sanctioned event with the US PGA Tour. Scott was runner-up to Andy Sullivan here last year, but Sullivan will be missing as he lines up in the Portugal Masters. Paul Casey and Patrick Read head the betting at $14 ahead of Scott, Hideki Matsuyama and Ryan Moore at $15. Moore knows his way around the KL course as he won here in 2013 and 2014 and on both of those occasions Gary Woodland finished 2nd to Moore. With that in mind, punters have shown some interest in his chances and he sits at $29. The Queensland Open teed off this morning (Thursday) as well, and it drew together a pretty handy field including last year’s winner David Bransdon, Nick Cullen, veteran Peter Lonard, and the extremely popular Jarrod Lyle. That market will be updated at the end of each day’s play. The new season of the US PGA Tour begins this week and unfortunately for the organizers of the Safeway Open, their main draw card in Tiger Woods has delayed his comeback. We wait with interest to see when that will happen! In a wide open market, Paul Casey is the $13 favourite with UBET to win the Safeway, followed by Matt Kuchar ($16) and the well backed Phil Mickelson at $17. Emiliano Grillo won this event last year and is a $21 chance. There are 8 Aussies in the field, and they are all well down in the betting with the shortest of those being John Senden at $81. The British Masters will be played at The Grove,, Hertfordshire beginning on Thursday, and this is proving to be quite a good betting event as well/ Bernd Weisberger is the narrow $15 favourite over Alexander Noren at $17, but several names near the top have met with a lot of support including Ross Fisher ($19), Shane Lowry ($21) and Danny Willett ($26). Matthew Fitzpatrick won this event last year when played at Woburn, but he is also solid in the market at $31. Nico Rosberg, the number two driver for Mercedes, is now a hot $1.15 chance to win the 2016 Drivers Championship having won four of the last five races held. Daniel Riccardo split the sequence two starts ago in Malaysia, but Rosberg bounced back winning in Japan with Hamilton finishing in 3rd place. The action moves to the impressive Circuit of The Americas in Austin, Texas for the US Grand Prix this week and while Rosberg has had the better of Hamilton recently, Hamilton has won three of the four GP’s held in Texas. That imposing record has seen Rosberg and Hamilton open as equal fav’s at $2.10 ahead of Riccardo at $9.00. Sebastian Vettel is the other driver to have won at the circuit and the Ferrari drive currently sits at $15. Marc Marquez wrapped up the 2016 motoGP riders title when he won in Japan on Sunday and that paints an interesting picture for the upcoming Australian motoGP at Phillip Island this Sunday. With Marquez already owning the title, will he take any unnecessary risks at the weekend? 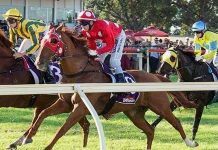 It is hard to know, but for the time being he has been installed as the $2.00 favourite ahead of Valentino Rossi ($3.50) and Jorge Lorenzo ($5.00). Ironically both fell during last week’s race in Japan, but all three of those riders have won a race here over the last three years, Marquez last year, Rossi in 2014 and Lorenzo in 2013. UBET will have an extensive coverage of Phillip Island including the lower classes. The Gold Coast will host the final of the Enduro races this season with two races, one on Saturday and the other Sunday, each consisting of 102 laps. As we all know, the tight Gold Coast street circuit makes it important to be at the front of the grid, but having said that we have seen upsets in the past with the safety car making several appearances. Car 88 (Whincup/Dumbrell) have opened the fav’s to win race 1 at $3.75, and no doubt their fans would consider themselves unlucky not to have been crowned the winners at Bathurst. 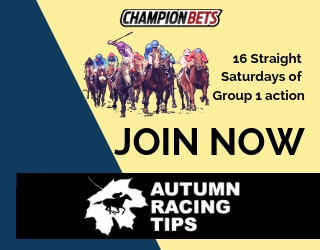 The honours on the day went to Car 19(Davison/Webb), and they are again well down the betting list at $21 to win race 1 on Saturday. The early money has been with Car 97 (Van Gisbergen/Premat) at $5.00 after a narrow loss at Bathurst. 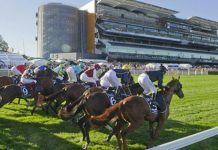 UBET will be betting live throughout both races on the Gold Coast. While most Aussies are just shaking their heads at the antics in the upcoming US Presidential election, it is a serious betting event. This time last week Donald trump had support at $3.25 with Hilary Clinton at $1.35, but following on from revelations of Trump’s past leading into their 2nd debate earlier in the week, he is now out to $4.75 with Hilary Clinton into $1.18. 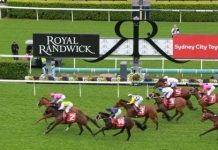 The experts are saying that the Cox Plate is a match race between Winx and Hartnell, but the betting public currently hold a different view. 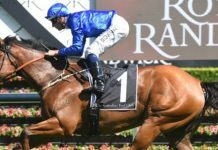 It has all been one way traffic for Winx, currently trading at $1.95, and she has attracted 10 times the amount of money that has been invested on Hartnell at $3.00. Yankee Rose is another popular horse with UBET customers and she has held her place all week at $14. Vadamos is the query runner, and while his international form and work this week has him right in the mix as we often see with the overseas runners. 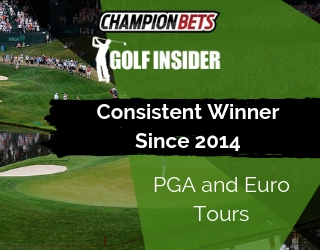 However, this year as the only international in the field, Vadamos has generated very little betting interest and has eased from $13 out to $15. The forgotten runner appears to be Black Heart Bart, now out to $19. Black Heart Bart should not have lost too many admirers when 2nd to Winx in that three horse race two weeks ago, but he has been the least popular horse in the race, quite amazing given each time he runs he is usually the worst result in the UBET fixed odds book! As soon as the Cox Plate is run and won the Melbourne Cup market will be updated so it will be interesting to see how Hartnell runs against the champion mare.